Heating maintenance will keep your heating system working correctly for as long as possible. It’s best to maintain your system regularly so you’re not stuck on a frigid day without any heat. For the heating maintenance in Nashville, TN that you need, count on Halo Heating & Cooling. We offer heating and air maintenance to create a Heavenly home for everyone who uses our services. Call us today at (615) 383-4822 for maintenance of your heating system, or if you’re beyond maintenance, you can call us for heating repair or replacement too. Maintenance on your heat pump or furnace will keep it working year after year, creating a warm and comfortable environment. We recommend that you have this heating service in Nashville, TN performed every year to keep your system running at its best, preferably before you need to turn it on for the first time. Throughout the year, the parts within the furnace or pump wear down from use and collect dirt that gunks them up — both concerns prevent the heating system from working correctly. But maintenance can stop these problems and keep them from worsening. Performing this routine maintenance every year before you use your heating system for the season will help it work right when you need it. Halo Heating & Cooling is the heating maintenance company to call in Nashville. We provide high-quality maintenance services that will keep your heating system running for as long as possible. During the routine maintenance, our team can also check for problems that need repairing. This way, they can prevent a problem instead of you losing heat suddenly when you really need it. 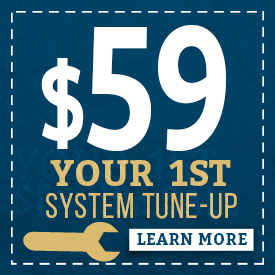 Routine maintenance can save you money in a number of ways. It can keep your system running more efficiently, which will keep your energy costs low, and it can extend the life of your system, preventing you from needing to pay for a system replacement before its time. In addition, maintenance and preventative repairs will save you money over emergency repairs. Halo Heating & Cooling is a professional and reputable company you can trust in your home. We send knowledgeable, experienced technicians to perform your system maintenance. Each person goes through a background check before going on the job and will show up in a professional uniform. We also strive to make you feel good about working with our company as a whole. We stand by our work by offering a 100 percent satisfaction guarantee and a two-year warranty on workmanship. We take pride in what we do, and we care about creating Heavenly homes — the perfect mix of comfort and cleanliness in the air. We also offer our Halo Comfort Club, which comes with an inspection, repair services and discounts (as much as 10%). Count on Halo Heating & Cooling to take care of your heating system, preventing it from breaking down before its time. Our company provides quality workmanship and parts at an affordable price. We perform maintenance for cooling systems in addition to our residential heating service. For all of your Nashville, TN heating and cooling needs, call us at (615) 383-4822 and we’ll send our team. We take care of air quality too!